All Coatings, Primers and Solvents are made to order - with a 7-10 Day Lead Time to your dock from date of order. This ensures the maximum shelf-life for your project and full compliance with most military and aerospace standards. Pricing ALWAYS includes Certificate of Conformance and SDS compliance documents with the order. Occasionally, we will have stock on some items. Please call us at 734-580-2089 or email sales@superiorsalesdist.com for details. We look forward to serving you! A-A-344 Clear gloss - An interior and exterior lacquer. A-A-665D Fed-STD-595C - An aerosol nitrocellulose lacquer. A-A-665E Fed-STD-595C - An aerosol fast-dry alkyd enamel. A-A-857B - A thinner for reducing the viscosity of cellulose- nitrate based dopes and lacquers of the spraying type. Suitable for use under air pollution regulations. A-A-1546A Fed-STD-595C - A rubbing varnish. A-A-1572 Clear - A lacquer type sanding sealer for spray application. For use on interior wood to be topcoated with clear lacquer finishes. May be applied by conventional or airless spray equipment. Can be used in conjunction with a stain, washcoat and/or a filler together with lacquer finish coats. A-A-1788 - Fed-STD-595C - An oil based interior varnish. A-A-1800 Fed-STD-595C - An oil based spar varnish. A-A-2246B Fed-STD-595C - A ready mixed, flat gloss, latex-based paint for use on interior walls and ceilings. A-A-2336 White - An oil based alkyd wood primer for interior and exterior surfaces. A-A-2787 Fed-STD-595C - A solvent thinned, low VOC, aerosol enamel. A-A-2850 Fed-STD-595C - A waterborne polymeric coating compound. A-A-2994 Fed-STD-595C- A primer coating for interior walls/wood. A-A-300 3Fed-STD-595C - A very high quality nitrocellulose lacquer for general interior use as a finishing coat over a properly prepared primed metal, plastic or sealed wood substrates. A-A-3054 Black - A heat-resisting paint. A-A-3058 Fed-STD-595C - An interior fire-retardant paint. A-A-3121 Fed-STD-595C - A high quality, chlorinated rubber deck enamel for concrete and masonry surfaces. This product is extremely durable and provides a chemical resistant surface. This is a single-component coating, no catalyst required. A-A-3161 Fed-STD-595C - A coating primer conditioner for chalking exterior surfaces. A-A-3164 Fed-STD-595C - A low VOC, lusterless and semigloss synthetic resin lacquer for application onto a lacquer resistant primer or recoating properly prepared metal surfaces. A-A-3165 Fed-STD-595C - A durable, pigmented, high gloss lead and chromate free lacquer for spray or brush application. It has good exterior durability and gloss. A-A-3183 Fed-STD-595C - A latex exterior paint. A-A-50574 Fed-STD-595C - A high quality odorless semigloss alkyd enamel for use on all interior wood, metal or masonry surfaces. This product is extremely durable with excellent flow and leveling characteristics. AMS-3170 - One type of specially blended solvent specially formulated for the reduction of Graphite Varnish Coating. DOD-E-1115C - White - An interior/exterior alkyd enamel. DOD-E-24607A Fed-STD-595C - (Semigloss only)A government specification, non-flaming enamel. DOD-P-15328D Green - A two-component metal pretreatment wash primer. MIL-A-6091 - A specification denatured alcohol solvent. MIL-C-450C Black - A bituminous, asphalt solvent type coating for application on the interior surfaces of ammunition items such as bombs, shells, rockets, and mines prior to being filled with explosives. – Type I: 15 – 28 seconds #4 Ford Cup viscosity – Type II: 120 – 190 seconds #4 Ford Cup viscosity – Type III: 150 – 250 seconds #4 Ford Cup viscosity. MIL-C-8514C - Yellow - A metal pretreatment wash primer. MIL-C-17504B Clear - A single component, clear acrylic plastic coating for use as a protective coating. Formulated for the protection and sealing of substrates. Provides resistance to water, sunlight, chemicals and abrasion. Available in bulk liquid form and in aerosol cans. MIL-C-22750F - Fed-STD-595C - A two-component, hi-solids, low-VOC, epoxy-polyamide coating for spray and brush applications, furnished in a packaged kit and suitable for use under air pollution regulations. Formulated for the protection against solvents and chemicals on interior and exterior surfaces. MIL-C-38736B - A cleaning compound of solvent mixtures. – Type I: Normal blend – Type II: Non-photochemically reactive blend. MIL-C-46168D - Fed-STD-595C - A two-component, hi-solids aliphatic, CARC polyurethane coating. MIL-C-53039B - Fed-STD-595C - A single component, hi-solids aliphatic, CARC polyurethane coating. MIL-C-81773C - Fed-STD-595C - A two-component polyurethane coating. MIL-C-83286B - Fed-STD-595C - A two-component, isocyanate/polyester polyurethane coating formulated for excellent exterior durability and gloss retention. MIL-C-83445A - White - A rain erosion-resistant, non-yellowing white polyurethane coating. MIL-C-85285C - Fed-STD-595C - A two-component aliphatic, polyester polyurethane coating. MIL-DTL-15090D#26307 Light Gray - A light gray equipment enamel for use as a topcoat on equipment, furniture and electrical equipment such as switchboard installations. MIL-DTL-24441C #26270 Haze Gray - A two component epoxy polyamide paint designed to protect surfaces from environmental attack. This coating is Low VOC as well as lead and chromate free. MIL-DTL-24631 #37038 - Black - An exterior grade polyester urethane paint. – Type I: Epoxy – Type II: Polyurethane. MIL-DTL-53039C Fed-STD-595C - A single component, hi-solids aliphatic, CARC polyurethane coating.All types available. MIL-E-5558A - Fed-STD-595C - A bake dry, alkyd base, wrinkle finish enamel. MIL-E-7729B - Fed-STD-595C - A high grade, single component, air dry, high gloss alkyd enamel formulated for interior and exterior primed metal and wood surfaces. MIL-E-11195E - Fed-STD-595C (Lusterless only) - A fast drying, lusterless, low VOC alkyd enamel. MIL-E-15145E - Fed-STD-595C - A zinc dust pigmented enamel. MIL-E-16663A Fed-STD-595C - A rapid, air-drying and baking type enamels for production line application by brushing, spraying, or dipping. For use on metal surfaces of ammunition and ammunition containers. – Type I: Air dry – Type II: Baking – Class 1: Rapid drying – Class 2: Flash drying. MIL-E-19603C-Fed-STD-595C - A baking enamel for roller coat application. MIL-E-22118B - Red - A synthetic insulating enamel for use on electrical equipment and for general purpose use. MIL-E-24635B - Fed-STD-595C - An air-dry, silicone enamel conforming to MIL-E-24635B. It is highly weather resistant with excellent color and gloss retention. MIL-E-24763Av- Fed-STD-595C - An emulsion type enamel. MIL-E-46096C - Fed-STD-595C - A lusterless, quick-dry, styrenated alkyd-type enamel. MIL-E-52798A - Fed-STD-595C - A camouflage alkyd enamel. MIL-E-52891B - Fed-STD-595C - A zinc phosphate type quick-dry lusterless enamel used as a finishing topcoat on primed ammunition components and other metal substrates. MIL-I-43553 - Fed-STD-595C - An epoxy marking ink specifically formulated for use on metallic or other non-porous surfaces. MIL-I-46058 - Fed-STD-595C - An electrical insulating compound. MIL-L-296B - Purple - A lacquer. MIL-L-6085 - Fed-STD-595C - (Gloss only) - A nitro-cellulose lacquer. MIL-L-7178 - Fed-STD-595C (Gloss only) - A nitro-cellulose lacquer. MIL-L-10287B Fed-STD-595C - A cellulose nitrate lacquer used in both the manufacture of small arms ammunition for identification purpose and in the assembly of small arms ammunition primers. – Type I: Opaque – Type II: Semi-transparent. MIL-L-11195D - Fed Std. 595B - A lusterless hot spray lacquer. MIL-L-19537C - Fed-STD-595C (Gloss only) - A general purpose exterior protective coating for metal surfaces. It is particularly formulated for resistance to diester lubricating oil, and is primarily intended for spray application. MIL-L-19538C - Fed-STD-595C - A nitrocellulose camouflage lacquer for metal surfaces, particularly formulated for resistance to diester lubricating oil, and is primarily intended for spray application. MIL-L-46159A - Fed-STD-595C - A low reflective acrylic lacquer for aircraft suitable for use under air pollution regulations. It is intended to provide a non-specular surface for aircraft. – Type I: Spray application – Type II: Aerosol cans. MIL-L-52043C - Fed-STD-595C - A cellulose nitrate semigloss lacquer which can be applied at either elevated or room temperatures. It is intended for use as a finish coat on chemically treated and/or primed tanks, trucks, automotive components and fire control systems. MIL-L-81352A - Fed-STD-595C - An exterior acrylic lacquer for protection of metal surfaces. – Type I: Acrylic – Type II: Alkyd – Type III: Polyurethane. MIL-L-81352B - Fed-STD-595C - An exterior acrylic lacquer for protection of metal surfaces. – Type I: Acrylic – Type II: Alkyd – Type III: Polyurethane. MIL-L-81352C - Fed-STD-595C - An exterior acrylic lacquer for protection of metal surfaces. – Type I: Acrylic – Type II: Alkyd – Type III: Polyurethane. MIL-P-8585A - Green Yellow - A low-moisture sensitivity, corrosion-inhibiting zinc chromate primer. MIL-P-14105D - Fed-STD-595C - A heat-resisting paint intended for use on steel that provides excellent protection. MIL-P-15328D - Blue - A metal pretreatment wash primer. MIL-P-19602B - Fed-STD-595C - A size-coating baking primer. MIL-P-21035B - Gray - A two part, high zinc dust content, galvanizing repair compound. Provides cathodic protection similar to galvanizing. – Type I: Rule 102 compliant – Type II: 295 g/l max VOC. MIL-P-21563B - Clear Fluor. Red-Orange Fluor. Yellow-Orange - A high visibility, durable, exterior, fluorescent paint system including a clear overlay coating containing UV and weather stabilizer which is sold separate from the pigmented fluorescent base coat. MIL-P-21600 - Clear Fluor. Red-Orange Fluor. Yellow-Orange A high visibility, durable, exterior, fluorescent paint system including a clear overlay coating containing UV and weather stabilizer which is sold separate from the pigmented fluorescent base coat. MIL-P-22332B - Red Oxide A corrosion-inhibiting, zinc chromate primer primarily intended for coating the interior and exterior surfaces of ammunition and rockets. MIL-P-23377G - Yellow Dark Green A two-component, low VOC, high build, strontium chromate type epoxy-polyamide primer for spray and brush applications. – Type I, Class C: Yellow – Type II, Class C: Dark Green. MIL-P-26915B - Gray - A lead-free, high-solids zinc-dust primer for steel surfaces. MIL-P-46105 - Gray - A single package, heat convertible/curing epoxy-based, zinc-rich primer for use on ferrous metal surfaces prior to spot welding. Protects steel galvanically, thus preventing below film corrosion. 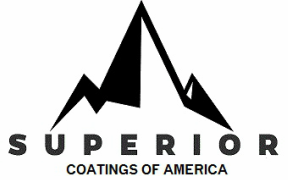 MIL-P-47115 - Fed-STD-595C - An abrasion-, chemical-, and heat-resistant epoxy paint. MIL-P-52192B - Red Oxide - A two-component, air-drying or baking, chemical resistant epoxy primer. Can be used for ferrous and non ferrous metals as well as other substrates. MIL-P-53022A - Fed-STD-595C - A lead and chromate free, corrosion-inhibiting, epoxy coating primer. MIL-P-53022B - White Light Gray - A two-component, flash dry, corrosion inhibiting lead and chromate-free epoxy primer. Can be used for ferrous and non-ferrous metals as well as other substrates. This primer has a low Volatile Organic Compound(VOC) content and can be used to replace MIL-P-23377F and MIL-P-52192 where exposure to lead or chromate pigments is not acceptable. MIL-P-53030B - White or Gray - A two component, air dry, water reducible epoxy type primer for ferrous and non-ferrous metals. MIL-P-85582C #34151 or Green #34052 Green - A two-component waterborne epoxy polyamine primer. – Type I: Standard #34151 Green – Type II: Low infrared reflective #34052 Green – Class C2: Chromate rust inhibitor formulation – Class N: Non-chromate rust inhibitor formulation. MIL-P-85582D #34151 Green #34052 Green - A two-component, waterborne hi-solids epoxy primer. – Type I: Standard #34151 Green – Type II: Low infrared reflective #34052 Green – Class C2: Chromate rust inhibitor formulation – Class N: Non-chromate rust inhibitor formulation. MIL-PRF-680 - A degreasing solvent. MIL-PRF-3043C - Green (Blue in package) A thermosetting resin coating for surfaces of engine components and metal parts. Dyed to a semi- transparent blue color which changes to green upon proper baking. MIL-PRF-23377H - Gray / Yellow / Dark Green - A two-component, low VOC, epoxy-polyamide primer for spray and brush applications. – Type I, Class C: Yellow – Type II, Class C: Dark Green. MIL-PRF-24635C - Fed-STD-595C - A high grade copolymerized silicone alkyd semigloss enamel intended for use on primed smooth metal surfaces. It is highly weather resistant and has superior color and gloss retention. – Type II: 340 g/l max VOC – Type III: 240 g/l max VOC – Class 1: Gloss – Class 2: Semigloss – Class 3: Low gloss. MIL-PRF-26915D - Gray - An organic type paint which produces a film containing high metallic zinc in contact with the steel. Like galvanizing, this zinc is electrically conductive, thereby preventing corrosion electro-chemically. It is also suitable as a finish coat on all ferrous and galvanized surfaces. Class A: 340 g/l max VOC Class B: 250 g/l max VOC. MIL-PRF-81352B - Fed-STD-595C - An exterior acrylic lacquer coating for protection of metal surfaces. MIL-PRF-85285C - Fed-STD-595C - A two-component aliphatic, polyester polyurethane coating. MIL-PRF-85285D - Fed-STD-595C - A two-component aliphatic, high solids, low-VOC, polyester polyurethane coating. MIL-PRF-85582C#34151 - Green #34052 Green. - A two-component waterborne epoxy polyamine primer. – Type I: Standard #34151 Green – Type II: Low infrared reflective #34052 Green – Class C2: Chromate rust inhibitor formulation – Class N: Non-chromate rust inhibitor formulation. MIL-PRF-85582D #34151 Green #34052 Green - A two-component waterborne epoxy polyamine primer. – Type I: Standard #34151 Green – Type II: Low infrared reflective #34052 Green – Class C2: Chromate rust inhibitor formulation – Class N: Non-chromate rust inhibitor formulation. MIL-R-3043B - Green (Blue in package) - A thermosetting resin coating for surfaces of engine components and metal parts. Dyed to a semi- transparent blue color which changes to green upon proper baking. MIL-T-19544E - One type of specially blended solvent specially formulated for the reduction of acrylic nitrocellulose lacquers. MIL-T-19588A - A toluene/methyl ethyl ketone mixture solvent. MIL-T-81772B - One type of specially blended solvent specially formulated for the reduction of two-component polyurethane coatings. – Type I: Polyurethane thinner – Type II: Epoxy thinner – Type III: Lacquer and alkyd thinner. MIL-V-173C - ClearAn air dry, moisture and fungus resistant clear gloss varnish. Protects and insulates. MIL-V-12276D - Green (Blue in package)A baking type, pigmented, semi-transparent phenolic varnish. It is intended for use as a protective finish for lining munitions, chemical and other containers requiring special protection. MIL-V-13811D - Fed-STD-595C - An electrical ignition waterproofing varnish. MIL-V-21064A - Fed-STD-595C - A baking-type finishing varnish. MIL-W-5044C - Fed-STD-595C. A non-slip walkway coating with non-skid properties. – Type I: Smooth, no grit – Type II: Grit added. MPI #1 - Aluminum - An air-dry, ready-mixed aluminum coating conforming to Federal Specifications. MPI #2 - Fed-STD-595C - A ready mixed, high heat coating formulated with silicone resin to meet TPD-1000A. Will withstand solvents and normal weather exposure. MPI #9 - Fed-STD-595C - An exterior alkyd gloss enamel. MPI #22 - Aluminum - A ready mixed, high heat coating formulated with silicone resin. MPI #28 - Clear - A gloss clear, air-drying, phenolic modified, alkyd spar varnish for use on exterior wood surfaces. It is extremely water and mildew resistant. MPI #32 - White Green Yellow Black Red Blue - A ready-mixed traffic paint for application to traffic bearing surfaces, such as Portland cement, concrete, bituminous pavement, brick surfaces of streets, highways, bridges, tunnels, etc. MPI #34 - Fed-STD-595C - A clear unpigmented, solvent base acrylic coating formulated specifically for use on properly prepared masonry surfaces. MPI #49 - Fed-STD-595C - An interior alkyd flat paint. MPI #56 - Clear - An air dry, moisture resistant clear gloss polyurethane varnish that protects and insulates. MPI #57 - Clear - A clear satin polyurethane coating for use on interior and exterior wood. MPI #71 - Clear - A single component polyurethane coating formulated for excellent exterior durability. This coating meets TT-C-542E Type I / Type II, Class A.
MPI #74 - Clear - A clear, long oil, alkyd varnish for use on interior wood surfaces. MPI #75 - Clear - A clear, long oil, alkyd varnish for use on interior wood surfaces. MPI #83 - Fed-STD-595C - A two-component aliphatic, polyester polyurethane coating. MPI #84 - Clear - A fast drying, solvent base nitrocellulose lacquer sanding sealer for wood surfaces. For use on interior wood to be topcoated with clear lacquer finishes. MPI #85 - Clear - A very high quality nitrocellulose lacquer with good working properties and flow. This lacquer originally was designed as an aircraft finishing material, but it is now specified wherever a quality nitrocellulose finishing lacquer is required. Available in gloss, semigloss, satin and flat sheens. MPI #86 - Clear - A very high quality nitrocellulose lacquer with good working properties and flow. This lacquer originally was designed as an aircraft finishing material, but it is now specified wherever a quality nitrocellulose finishing lacquer is required. Available in gloss, semigloss, satin and flat sheens. an aircraft finishing material, but it is now specified wherever a quality nitrocellulose finishing lacquer is required. Available in gloss, semigloss, satin and flat sheens. MPI #90 - Various Stain Colors - An interior oilbased wood stain that protects and enhances the natural texture of fine wood. MPI #104 - Clear - A clear unpigmented, solvent base acrylic coating formulated specifically for use on properly prepared masonry surfaces. MPI #122 - Fed-STD-595C - A very high quality nitrocellulose lacquer with good working properties and flow. This lacquer originally was designed as an aircraft finishing material, but it is now specified wherever a quality nitrocellulose finishing lacquer is required. Available in gloss, semigloss and satin sheens. an aircraft finishing material, but it is now specified wherever a quality nitrocellulose finishing lacquer is required. Available in gloss, semigloss and satin sheens. MPI #124 - Fed-STD-595C - A very high quality nitrocellulose lacquer with good working properties and flow. This lacquer originally was designed as an aircraft finishing material, but it is now specified wherever a quality nitrocellulose finishing lacquer is required. Available in gloss, semigloss and satin sheens. TT-C-542E - Clear - A single component clear polyurethane coating formulated for excellent exterior durability. TT-C-2114 - Fed-STD-595C - An obliterating coating. TT-E-485F #24084 - Olive Drab - A semigloss rust inhibiting enamel for use on metal as a one or two coat primer/finishing coating system. – Type I: Dip application – Type II: Brush and roller application – Type III: Roller coat application – Type IV: Flash dry application. on ferrous metal decking subject to minimum foot traffic. It is self priming on concrete and bare wood. TT-E-489G - Fed-STD-595C - A high grade, single component, air dry, high gloss alkyd enamel formulated for interior and exterior primed metal and wood surfaces. TT-E-489H - Fed-STD-595C - A high grade, high gloss alkyd enamel formulated for interior and exterior primed metal and wood surfaces. Low VOC, high-solids formulation. TT-E-489J - Fed-STD-595C - A high grade, high gloss alkyd enamel formulated for interior and exterior primed metal and wood surfaces. A Low VOC, high-solids formulation. TT-E-490E - Fed-STD-595C - A high grade silicone alkyd type copolymer gloss and medium gloss enamels intended for use on primed metal but particularly on smooth exterior metal. It is highly weather-resistant and has superior color and gloss retention. Its inherent high heat resistance is due to the high silicone content of the resin. Resists temperatures up to 600 degrees Fahrenheit. TT-E-496B - Black - A heat-resisting enamel. TT-E-506K - Fed-STD-595C - An interior alkyd gloss enamel. – Type I: Tints and whites – Type II: Hi-hide white. TT-E-508C - Fed-STD-595C - A high quality semigloss alkyd enamel for use on all wood, metal or masonry surfaces. This product is extremely durable with excellent flow and leveling characteristics. TT-E-509C - Fed-STD-595C - An odorless, interior grade, alkyd enamel formulated for low VOC” content. – Type I: Tints and whites – Type II: Hi-hide white. TT-E-515A - Fed-STD-595C (Lusterless only) - A quick-dry, lusterless, alkyd enamel formulated for low-voc content. This coating is primarily used as a fast dry finish coat on equipment. TT-E-516A - Fed-STD-595C (Lusterless only)A quick-dry, lusterless, styrenated alkyd enamel .This coating is primarily used as a finish coat on ammunition and other metal surfaces. TT-E-522A - Fed-STD-595C - An exterior phenolic enamel. TT-E-527C - Fed-STD-595C - An exterior grade, lusterless alkyd enamel. TT-E-527D - Fed-STD-595C - An exterior grade, lusterless alkyd enamel formulated for low VOC content. TT-E-529G - Fed-STD-595C - A semi-gloss, alkyd enamel formulated for interior and exterior metal and wood surfaces. This coating is primarily used as a medium dry finish coat on equipment. TT-E-545C - Fed-STD-595C - An odorless, interior, alkyd undercoat enamel. TT-E-1384 - Fed-STD-595C - A durable, high gloss, acrylic enamel formulated to give excellent exterior durability. TT-E-1593B - Fed-STD-595C - An air-dry, interior/exterior silicone alkyd coating for use on primed metal surfaces. TT-E-1793 - Fed-STD-595C - A metal and wood furniture semigloss enamel. – Class A: Air dry – Class B: Baking. TT-E-2124B - Fed-STD-595C - A vinyl alkyd enamel. TT-F-1098D - White - A solvent-thinned block filler for porous surfaces. TT-I-735 - One type of alcohol that nmay also be called out as Isopropanol or 2-Propanol. This solvent is 100% miscible in water. TT-L-20A - Fed-STD-595C - A nitrocellulose lacquer for use primarily on metal surfaces, usually specified by the Government for camouflage surfaces. TT-L-32 - A very high quality nitrocellulose lacquer with good exterior durability and gloss. New HAPS” free formulation. This lacquer originally was designed as an aircraft finishing material. TT-L-50E - Clear Fed-STD-595C - A high grade lacquer coating supplied in pressurized dispensers for general purpose applications. – Type I: Nitrocellulose – Type II: Acrylic – Type III: Acrylic-cellulose acetate butyrate. TT-L-50G - Clear Fed-STD-595C - A high grade lacquer coating supplied in pressurized dispensers for general purpose applications. – Type I: Nitrocellulose – Type II: Acrylic – Type III: Acrylic-cellulose acetate butyrate. TT-L-54C - Fed-STD-595C - An acid-resistant spraying lacquer. TT-L-58E - Fed-STD-595C - A very high quality nitrocellulose lacquer for general interior use as a finishing coat over a primed metal or a sealed wood substrate. TT-N-95B - An aliphatic naphtha solvent. – Type I: For organic coatings – Type II: For cleaning acrylic plastics. TT-N-97C -An aromatic naphtha solvent. TT-P-19D - Fed-STD-595C - A 100% acrylic coating that will provide excellent durability and weather resistance. TT-P-24E - Fed-STD-595C - A concrete and masonry oil paint. TT-P-26C - Fed-STD-595C - A fire-resistant coating formulated with a special type of alkyd resin for fire retardant coatings. This coating gives very good fire retardancy while protecting the substrate from abrasion and wear. TT-P-28G - Bright Aluminum - A ready mixed, high heat coating formulated with silicone resin. TT-P-29J - Fed-STD-595C - An interior latex paint. TT-P-29K - Fed-STD-595C - An interior latex paint. TT-P-30E - Fed-STD-595C - (Flat only) - An odorless interior alkyd paint. TT-P-31D - Brown Red Oxide - An oil paint. TT-P-32B - Fed-STD-595C - A blackboard coating paint. TT-P-38E - Aluminum - An air-dry, ready-mixed aluminum coating conforming to Federal Specifications. TT-P-47G - Fed-STD-595C - A ready-mixed flat oil paint. TT-P-59E - International Orange - A ready-mixed paint. TT-P-81E - Fed-STD-595C - A high quality, long-oil alkyd enamel for use on all wood surfaces. This product is extremely durable with excellent flow and leveling characteristics. TT-P-85E - White Yellow - A ready mixed, air dry, solvent base traffic paint. TT-P-87D - White Yellow - A reflectorized traffic paint, premixed with low-index glass spheres, designed for drop-on application of additional quantity of coarser low-index spheres at time of application; intended for traffic marking. TT-P-91D - Fed-STD-595C - A concrete and masonry, rubber-base, interior floor paint. – Type I: Chlorinated rubber formulation – Type II: Styrene butadiene formulation. TT-P-95C - Fed-STD-595C - A chlorinated, rubber based coating designed to withstand continuous submersion and the effects of wear and weather. TT-P-97D - White - A styrene-butadiene, solvent-type, exterior masonry paint. TT-P-98C - Fed-STD-595C (Flat only) -A flat stencil paint. TT-P-102F - Fed-STD-595C - An exterior grade, long oil alkyd enamel for general exterior use on new or previously painted wood trim, siding, primed metal and sealed concrete. It is lead and chromate free with a low VOC” content. TT-P-110C - Black - A conventional dry solvent-base traffic coating. TT-P-320D - Aluminum - An aluminum pigment in powder or paste form for paint. – Type I: Minimum 99% – Type II: Minimum 65% – Class A: Extra fine lining – Class B: Standard lining – Class C: Standard fineness. TT-P-620C - Fed-STD-595C - A coating primer conditioner for chalking exterior masonry. TT-P-636D - Red Oxide - An alkyd primer coating for wood and ferrous metal. TT-P-641G - Gray - A two part, high-solids, zinc-dust, zinc oxide primer that protects steel galvanically, thus preventing below film corrosion. TT-P-645A - Red Green Yellow - A corrosion-inhibiting, zinc chromate primer. TT-P-645B Yellow - A zinc molybdate alkyd primer. TT-P-650D - White - A latex-base interior primer coating for gypsum wallboard. TT-P-662B - Fed-STD-595C - A surfacer, sanding, lacquer, and enamel type primer. TT-P-664C - Red Oxide - A synthetic, rust-inhibiting, lacquer resisting primer coating. TT-P-1385 - Gray - A synthetic primer. TT-P-1411A - Fed-STD-595C (Lusterless only) - A cementitious waterproofing coating for concrete and masonry walls. TT-P-1511B - Fed-STD-595C - A vinyl acrylic latex semigloss enamel with quick dry and good adhesion. TT-P-1757A - Green Yellow - A low-moisture sensitivity, corrosion-inhibiting zinc chromate primer. TT-P-1757B - Green Yellow - A one-component, alkyd base, corrosion-inhibiting zinc chromate primer. TT-P-1952B - White Yellow Red - A conventional dry water based traffic coating. TT-P-1952C - White Yellow Red - A conventional dry water based traffic coating. TT-P-1952D - Fed-STD-595C - A conventional dry wate rbased traffic coating. TT-P-2756A - Fed-STD-595C - A low VOC, self priming, polyurethane coating. TT-P-2846 - Fed-STD-595C - A recycled latex paint. – Type I: Interior – Type II: Exterior – Type III: Interior/Exterior. TT-S-171C - Clear - A lacquer-type floor sealer. TT-S-176E - Clear - A varnish-type surface sealer for wood and cork floors. TT-S-179B - White / Off White - An oil based pigmented wallboard and plaster surface sealer. TT-S-223B - Clear - A specially formulated clear acrylic based sealer designed to be used as a sealer and dust reducer on floors. May be used on concrete, asphalt tile, linoleum and masonry floors. TT-S-711C - Fed-STD-595C - An interior lead free, semi-transparent stain that protects and enhances the natural texture of fine wood. TT-S-1992 - Fed-STD-595C - A latex exterior wood stain. TT-T-266D - A thinner for cellulose-nitrate based dopes and lacquers of the spraying type. Suitable for use under air pollution regulations. TT-T-291 - Three types of Mineral Spirits (volatile petroleum spirits) for thinning paints, enamels, varnishes and paint related materials. TT-T-306 - Two types of synthetic resin enamel thinners, for general use and limited use. – Type I: General use – Type II: Use under air pollution restrictions. TT-T-306E - A type of synthetic resin enamel thinner. – Type I: General use – Type II: Use under air pollution restrictions. TT-T-1384 - Fed-STD-595C - A synthetic, gloss, acrylic enamel formulated to give excellent exterior durability. TT-T-2935 - A purging thinner. TT-V-51 - Clear - An asphalt varnish. TT-V-81G - Clear - A mixing varnish for aluminum paint. – Type I: For use as wood primer – Type II: For general use. TT-V-109C - Clear - A clear, air-drying alkyd varnish for interior use. TT-V-119D - Clear - A clear, air-drying phenolic spar varnish for use on exterior wood surfaces. It is extremely water and mildew resistant. TT-V-121H - Clear - A water-resisting spar varnish. TT-W-572 - Clear - Fed-STD-595C - A water repellent, penetrating sealer that will provide protection to any wood or concrete surface or structure. TT-X-916B - One type of solvent that or thinner primarily for use in protective coatings.